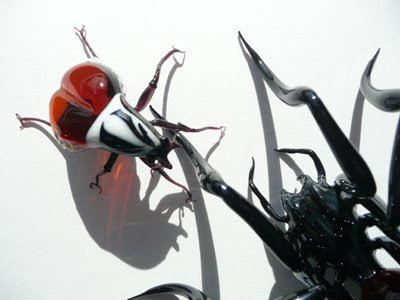 Check my new beasts, these incredible life-size glass insects by DM Beard Glass in Devon. 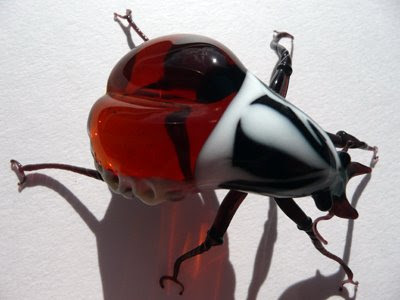 My Hercules Beetle is just under 2 inches long, and the awesome Bird Eating Spider is a handsome 5" diameter. Just look at the tiny details! 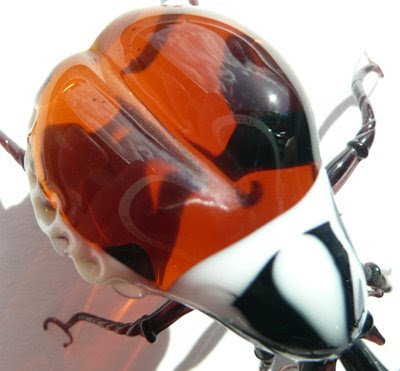 With everything perfect in every way, it's hard to believe these are made of glass. 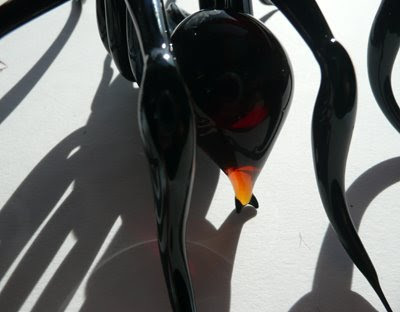 Spider's poison sac glows amber in the sunlight and her iridescent black legs glitter darkly next to Beetle's breathtakingly tiny feet. And the shadows are something else. But the thing is ... they have weight. Hold the spider in your hand (her legs dangling over), and you get a sense of how the real insect must feel. Bought from the Broadfield House Glass Museum, Dudley. Did you know they're going to close the glass museum? Rubbish! I've got a Flickr, how about you?